These will spawn if an enemy player or hostile creature enters one of the quest npcs aggro range, which is where a fun use of them comes in as an alliance character. 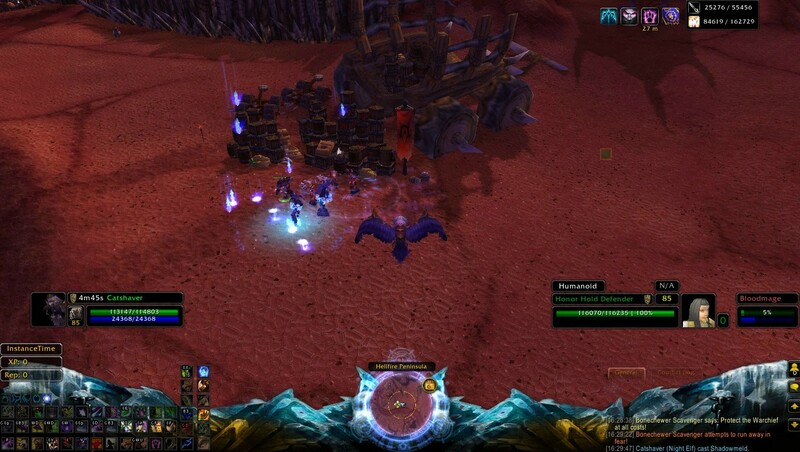 Pull as many npcs in the area as possible then take them through the quest npcs so a guard spawns for each one, with the mobs still chasing you and the guards chasing them head on over to thrallamar. Sit back and watch the carnage. Esse PNJ pode ser encontrado em Península Fogo do Inferno.